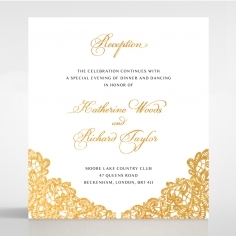 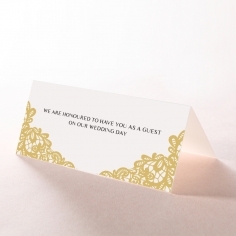 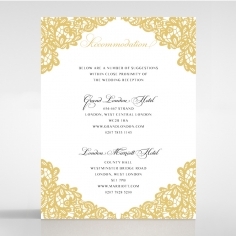 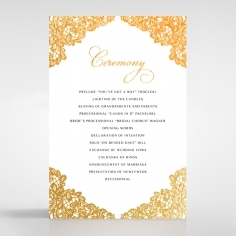 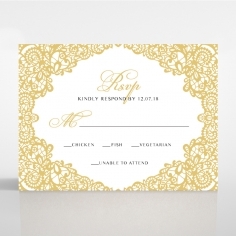 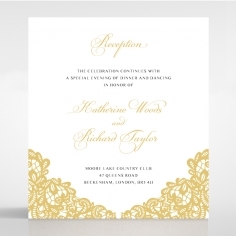 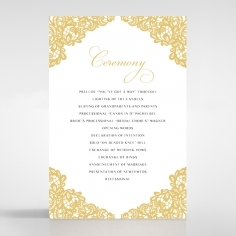 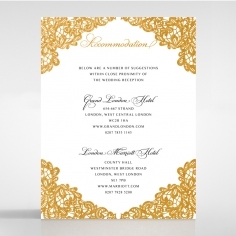 A pocket invite that can be used by a couple having either a traditional or modern wedding without losing elegance. 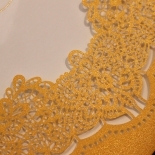 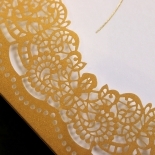 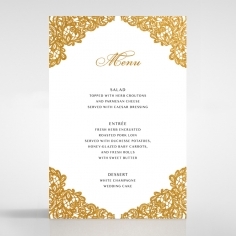 This design is created using a premium card stock with the lace pattern delicately crafted using laser cutting software to achieve the intricate lace details and form a frame for the center. 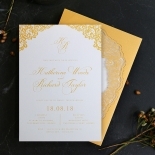 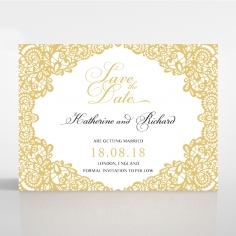 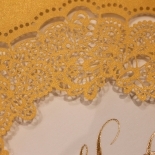 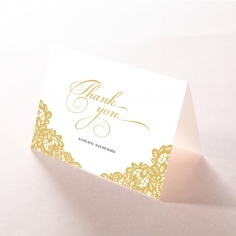 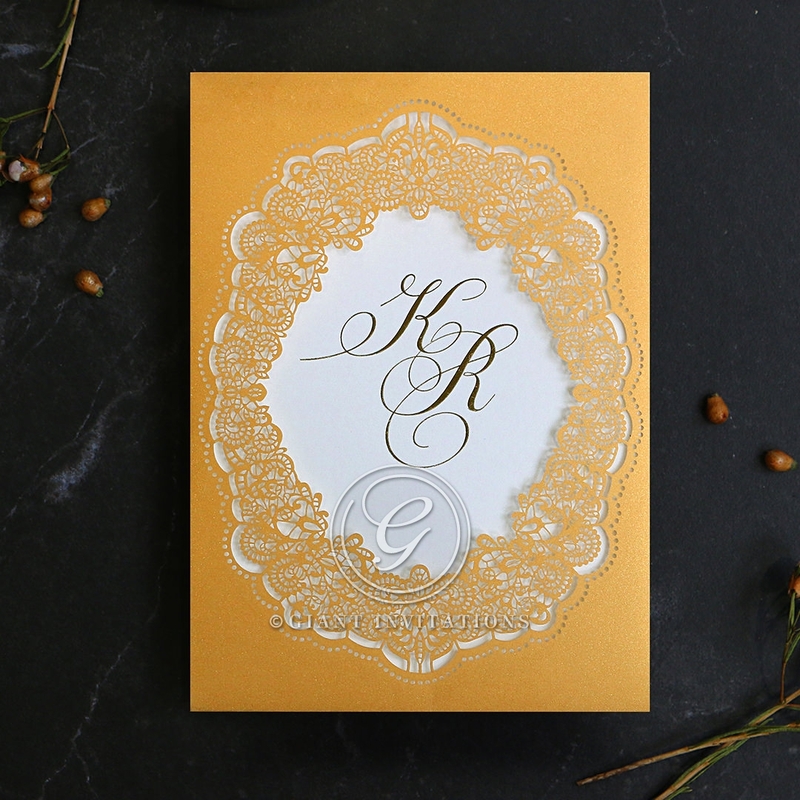 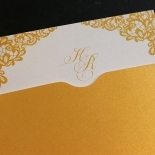 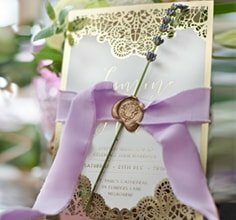 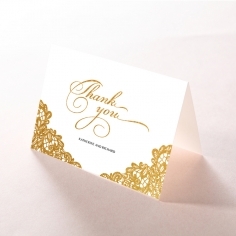 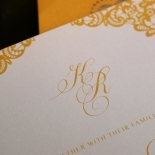 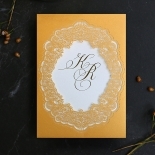 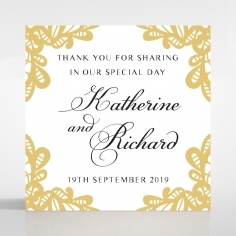 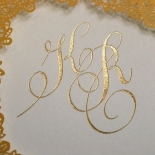 You and your partner’s initials are embellished in gold foil on the center of the inner card making it visible through the lace frame. 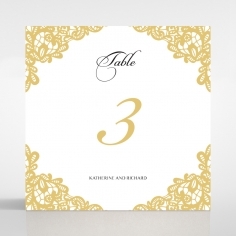 Elegant, enchanting and regal, this creation is sure to stand out and impress guests having them anticipate your special day. 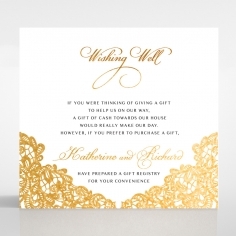 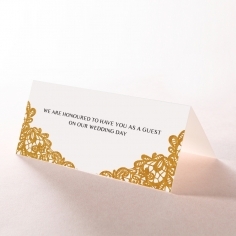 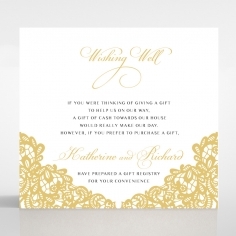 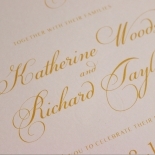 You can personalise your wording and typography, while complimentary envelopes and foil seal stickers are also included.